We are proud to introduce state-of-the-art office equipment, including our new Cone Beam CT (3D imaging, small field, dental CAT scan machine). This new imaging system developed exclusively for dentists, allows us to make a wide range of complex diagnosis of anatomy, infection or lesions, root length, abnormalities, and missed root canals from previous endodontic procedures not able to be seen from a traditional 2-Dimensional radiograph. With minimal exposure, each 3D image is equivalent to 1.5x's less radiation than a standard periapical x-ray. This ensures the best quality care possible to each of our patients with the most thorough diagnosis possible. 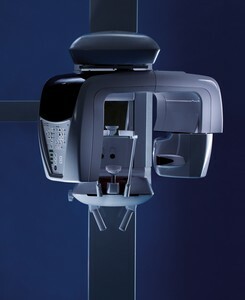 Another unique quality to our state-of-the-art office is our specialized dental microscopes. The microscope allows 2-20x's magnification to aid in the treatment of the root canal procedure or surgical apicoectomy. The microscope permits better lighting, precise accuracy, detection of root fractures, multiple canals, and the ability to take 35mm photographs to aid in patient education and documentation. Our office also uses digital radiographs to minimize radiation exposure to every patient. Our Soredex system is linked to our software allowing us to manipulate the image as needed (brighten, sharpen, enlarge, rotate, and compare side by side images) on the computer screen. Digital radiographs, along with minimal exposure, permits us to email images to all referring doctors, specialists and general dentists for you records.